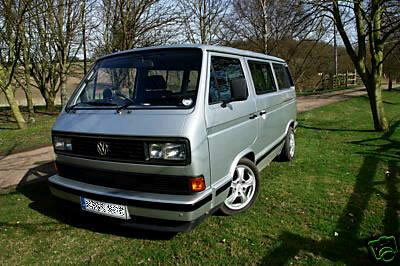 Automotive - Volkswagen Transporter 3 1979-1992. Also known as the Type 2 / T3, Type 25, T25, or Vanagon (in the US) including: Caravelle, Syncro, Multivan, DOKA, SIKA and Westfalia (Westy) / Camper conversions; Bluestar, Whitestar, LLE and Redstar special editions; 1991-2003 South African or SA "big window" 5-cylinder Microbus versions. Personal interest in these versatile vehicles has led us to start re-making NLA parts according to demand. The first to receive our attention was the now-obsolete bearing pads fitted to post-1984 model year Westfalia swivel seat bases part nos. 251 881 319 and 251 881 320. We responded rapidly, made a pilot batch to satisfy immediate demand and will continue to hold stock for future orders as more Westys are restored and refurbished. Our intention is to use our personal experience and enthusiasm for these VW vans to identify demand for hard-to obtain or obsolete parts, remanufacture and supply direct as well as drive forward the development of exciting and useful new products for the whole Transporter 3 range. We can machine the centres of later 5-stud VW (Sharan, Passat, Golf) and Audi (A4,A6,RS etc.) to achieve the necessary clearance for fitting to T3's to a high degree of accuracy, typically accurate and concentric to 0.02 mm. We only ask that the tyres be removed first and leave the rest to us. These bars receive some rough treatment when syncros get used off road in anger, leading to bowing, twists and bent mounting brackets, as well as tearing of the (inadequate) production welds. 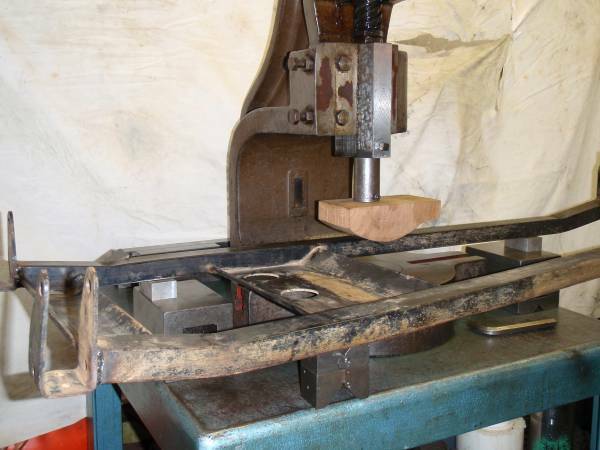 We aim to get them straight and flat to within 3mm and then repair any tearing or cracks, including fully seam welding the mounting brackets to strengthen this weak point. 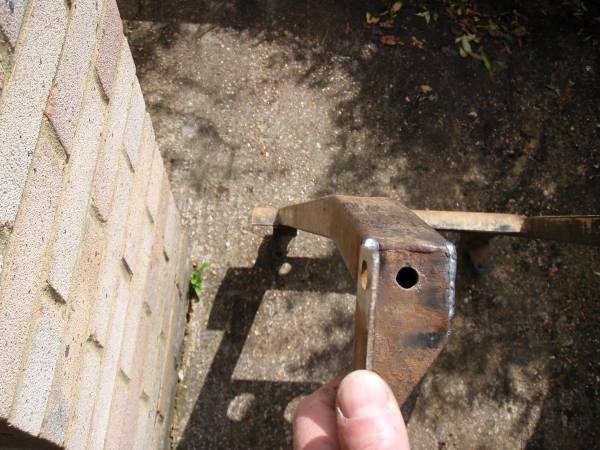 Further strengthening/stiffening modifications are possible for the (lighter duty) petrol engine bars. Please enquire via our contact page. After several prototype designs with a variety of caliper/disc combinations, we selected the Lucas type 38 rear brakes from the first generation VW Sharan / Ford Galaxy / Seat Alhambra (1995-2000) as the basis for this conversion kit. These use what is probably the most popular brake pad currently in use and spares will be available for a long time, giving the conversion a good shelf life for vehicle owners. 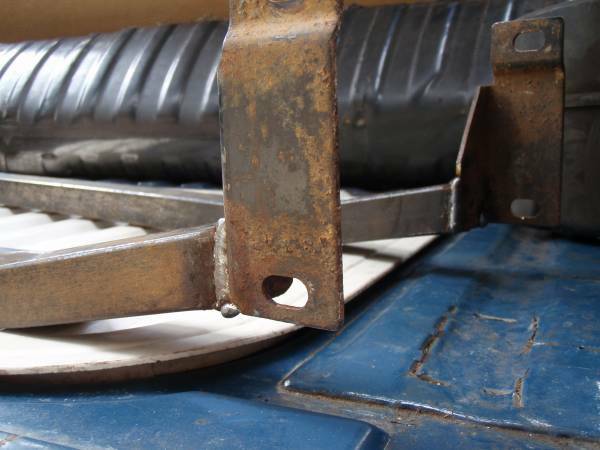 The entire conversion to rear disc braking can be completed for less than the cost of fully renewing the rear drums, when the backplates are badly corroded, handbrake adjusters siezed, wheel cylinders leaking etc. as they often are after 20-odd years of loyal service. We have engineered a fully machined adaptor, that locates on the T3 rear hub bearing carrier in place of the old drum unit, from high-tensile EN8 steel (080M40) which mounts the Lucas caliper and pad carrier in position. The rear hubs are reduced in diameter and a precision collar is fixed to the hub, which centralizes the disc. These are available in limited quantities for exchange, but we prefer to machine you own hubs so you know what you are getting back. Note: longer wheel studs are necessary for safe fitting in almost all cases. We can supply and fit these (with free fitting if we machine your hubs) or you can source and fit yourself. Handbrake cables are re-routed over the top of the swingarm, which puts them out of harm's way and less prone to freezing in harsh winter conditions. These are produced for us by an industry leader and UK manufactured to OEM specifications. Long, which goes direct from caliper to the hard pipe on the bodyshell. In both cases the flexible hose completely replaces the rigid brakeline on the swingarm. All fixings are provided and all components are electroplated for corrosion resistance. We think that this conversion would also be ideal for anyone who drives their modified T3/T25 enthusiastically, or campervan owners who drive in hilly country or abroad; as it will eliminate the unpleasant tendancy for these vans to overheat their rear drums when worked hard, resulting in loss of braking effort. Fitting to your vehicle can be arranged by a well-known T3 specialist local to us near Guildford. Please contact us for more details. These are fitted between the upper wishbone and top balljoint, to help correct the side-effects of installing high-lift springs and spacers to the front of a T3 syncro. 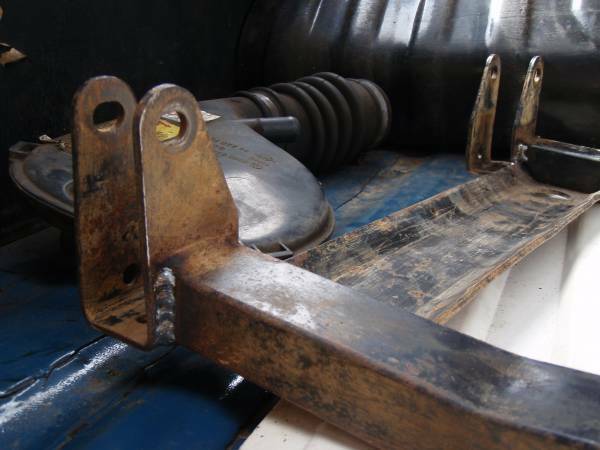 In the quest for increased ground-clearance, problems encountered can include: Lack of camber adjustment range, poor handling, tyre scrub and in extreme cases the top wishbone fouling the spring. Machined from high-tensile aluminium alloy to precise tolerances, with a generous fillet radius to the balljoint pocket for maximum reliability and long service life. Supplied in pairs, complete with high-tensile fixings and lock nut. We strongly advise that the vehicle suspension geometry is checked after fitting, by a garage suitably experienced in the subtleties of the T3 syncro.